In taking every measure to help her clients successfully accomplish their personal real estate goals, Mary Jane Freeman exhibits genuine care, dedication and professionalism. Through her in-depth knowledge and experience and as a specialist in the Greater Greenville and Anderson Counties’ real estate market, you may trust in Mary Jane’s expertise and accurate assessment. 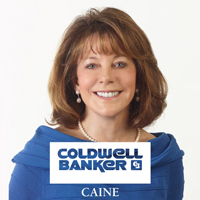 As a native to the area, her love for the region is very present as she caringly serves her client’s specific real estate goals. Specializing in the Acquisition and Marketing of Residential and Luxury Properties in all price points, her trusted perspective and thorough representation is highly valued. In helping a client to find their dream home or sell their special residence Mary Jane clearly distinguishes herself by creating an exceptional and elevated real estate experience! Mary Jane works personally with each client and excels at providing market knowledge, insightful guidance and marketing strategies that produce results. Sellers receive creative and well-organized marketing applications that clearly accentuate each property’s specific features. Skillfully leveraging their property’s visibility, Mary Jane utilizes professionally produced photography together with refined staging services and an extensive presentation in print and on multiple internet sites. In working with buyers, Mary Jane acts with diligence and dedication to find her clients their ideal property. Regardless of the time and effort it takes, her sole focus is on her client’s goal of purchasing a home that they will cherish for years. Mary Jane’s clients enjoy her personal touches and find that her warm and friendly personality is very present in everything she does on their behalf. Her immediate accessibility, answers to timely questions and trusted counsel makes her invaluable to her clients. Mary Jane is masterful at finding creative and equitable solutions and ultimately ensures that each client receives outstanding representation in her efforts to accomplish and make their real estate dreams come true! Accredited Buyers Representative (ABR) and Graduate of Real Estate Institute (GRI). Contact Mary Jane to serve you and your personal real estate interests.